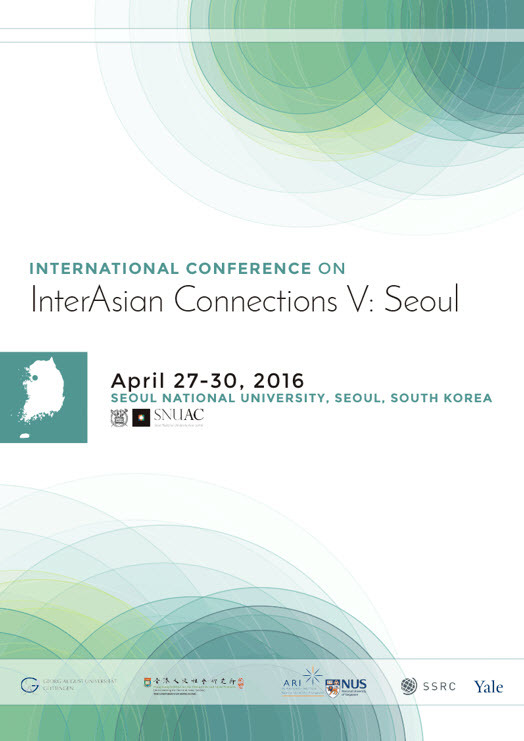 From April 27 to 30, various intellectuals from around the world gathered at Seoul National University for the InterAsian Connections 2016 Conference held by the Social Science Research Council (SSRC). This international nonprofit organization was founded in 1923 and promotes social science research and spreads information about public issues. The conference that took place in SNU was the fifth in this year’s series and was made up of ten closed workshops as well as several plenary sessions that were open to the general public. The conference focused on various topics such as “Forced Migration in/of Asia” and “InterAsian Urbanization”. Although most of the workshops were only open to the academics that were registered to attend, the plenary sessions were open to the general public. The two main plenary sessions were “National Histories and the Cold War: A Transpacific Critique” and “Reviewing InterAsia Work: Reflections of Past Workshop Directors”. In the former, Lisa YONEYAMA (University of Toronto) discussed the victims of the Cold War in Japan as well as the impact the war had on various countries. This conference also included the participation of various SNU faculty members including Hiroki MIURA (Institute of Korean Political Studies) who spoke about the “Social Economy and Alternative Development Models in Asia” and PARK Tae-Gyun who chaired one of the discussions.